If you are experiencing gum disease and your periodontist has noticed a loss of bone as well, bone regeneration may be a good option to restore the health and function of your smile. Bone regeneration is a periodontal surgical procedure that regenerates jaw bone and tissue in order to correct the damage caused by periodontal disease. Bone regeneration is often performed to protect your existing teeth and the soft tissues that keep them in place so that you can experience an enhanced quality of life as a direct result of improved health, function, and appearance. Bone regeneration can also benefit patients with missing teeth and those who don't qualify for dental implants. Dental implants require a significant amount of jawbone prior to the procedure in order to be successful. Bone regeneration can help patients who suffer from a deteriorated jawbone support their restorations or prepare for an implant dentistry procedure. During this procedure, your periodontist will place a biocompatible membrane between the gum and bone, which acts as a barrier. This barrier prevents downgrowth of the gum into the underlying bone as it heals. In some cases, a bone graft or tissue-stimulating proteins may be placed under the membrane to encourage your body's natural ability to regenerate bone and tissue. 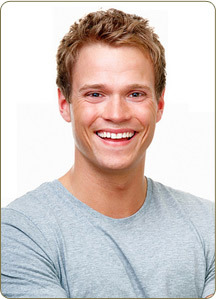 Membranes around teeth are typically designed to dissolve away or reabsorb after a few weeks. There are many options to enhance support for your teeth and to restore your bone to a healthy level. Schedule an appointment with our office to find out all the options available to help you regain your periodontal health.